Pearl’s Mohs hardness is 2.5, so care should be taken not to scratch it. 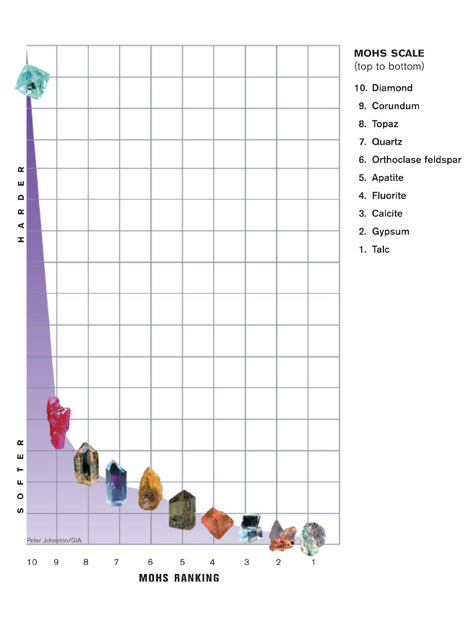 Pearl is ranked 2.5 on the Mohs hardness scale, which means it’s very soft and easily scratched or abraded. But with reasonable care, pearl jewelry can be a lasting treasure. Pearl’s toughness is usually good, but aging, dehydration, and sometimes excessive bleaching during initial processing might make some pearls more fragile. High heat can burn cultured pearls or cause discoloration, splitting, or cracking. Pearl can be damaged by many chemicals and all acids. The list includes hair spray, perfume, cosmetics, and even perspiration. 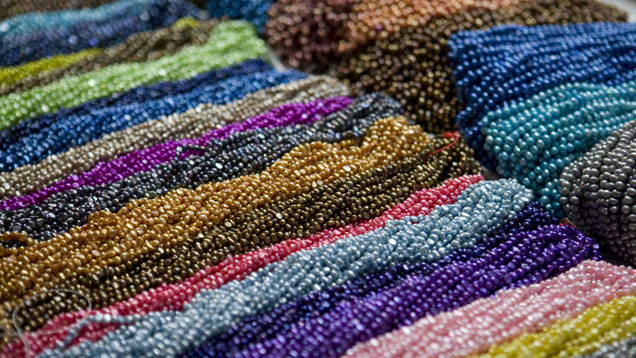 Pearls might be dyed, impregnated, or coated. These treatments might alter over time. Bleaching and irradiation can be stable during normal wear. 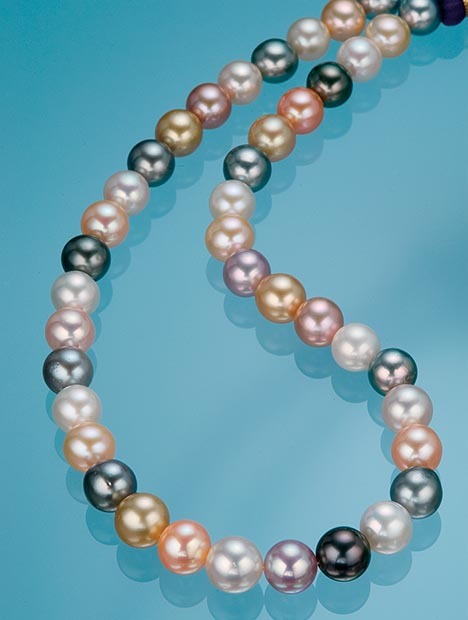 The colors of these freshwater cultured pearls are the result of dyeing. Dyed pearl colors can alter over time. Pearls should never be cleaned in an ultrasonic or steam cleaner. It’s safe to use warm, soapy water for occasional, thorough cleaning. If the pearls are strung, be sure the string is completely dry before wearing. For routine care, it’s best to wipe cultured pearls with a very soft, clean cloth after each wearing. With proper care cultured pearls can provide their owner with a lifetime of enjoyment.